Home / Mod Podge Crafts / Party / Football Centerpiece and Chocolate Dip! Football Centerpiece and Chocolate Dip! I grew up with four brothers – and we all played sports. My sport of choice was soccer, as well as two of my brothers . . . but the other two played football! You can imagine that I was exposed to several games, both in person and on television, over the years. With the Big Game coming up, I actually had a great idea that the kids are going to love – hosting a Home Bowl party for the littles. If you have football fans at home, this idea is for you! I created a preview of the party along with a special centerpiece craft and dip recipe that the kids are going to love. Keep reading to learn how to host your own Home Bowl party! I also served some trail mix and popcorn at the party preview, because those snacks are a household fave (of course other snacks can be substituted). What was served for a beverage? Coca-Cola! Have bottles, cups, and ice ready for your guests. The decorating itself is simple. I went to my local party store and bought a green grass tablecloth, football napkins, and football field cups. They even had little foam footballs that I had to pick up. 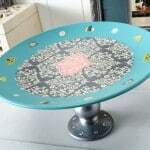 And then I made a centerpiece with Mod Podge! Paint your wood stars with brown, on both sides, giving several coats. Let dry. Add white football laces to the front of your stars. Let dry. Drill a hole in the center of your wood block to fit your dowel rod (make sure to check the size of the bit). Insert the dowel rod into the hole. You can glue it into place, but mine stuck without moving. Paint the base of your wood block with citrus green and the dowel rod with the yellow Let dry. Measure and cut your grass paper to fit the bottom four sides of your wood block. Cut out with scissors. 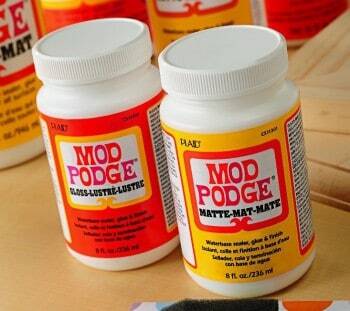 Apply Mod Podge to one side of the block. Smooth the paper on top. Wait 15 – 20 minutes to dry and apply a top coat. Repeat with the other three sides. Let the block dry. Hot glue five stars to the dowel rod and one to the front of the block. You're done! My kid friendly Home Bowl party was so easy to set up – and I LOVE the way it turned out! What do you think? Disclosure: The Coca-Cola Company partnered with bloggers such as me for their Home Bowl program. As part of this program, I received compensation for my time. This prize was provided by The Coca-Cola Company. The Coca-Cola Company is not a sponsor, administrator or connected in any other way with this Home Bowl promotion. Personalized Sunglasses – Two Ways! 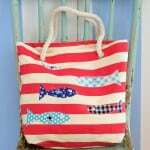 Three Hostess Gifts That Will Get You Invited Back! We are hosting a kid friendly Super Bowl party! This is a great snack idea! Thank you! Have the winners been selected? Thank you for your help.